who was chosen to be with our Heavenly Father on July 25, 2015. 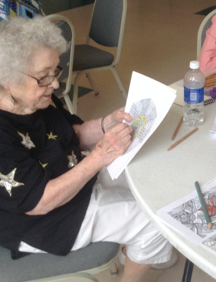 Sarah’s last photograph was taken at the Pittsboro Senior Center, where she met with her artist friends on Monday afternoons. The mixed media art group was the highlight of her week. “What An Amazing Lady” has become the words to describe this inspiring lady who loved God, her family, friends, and everyone she met. We will all miss her, but her inspiration and our memories of her will be in our hearts until we meet again. 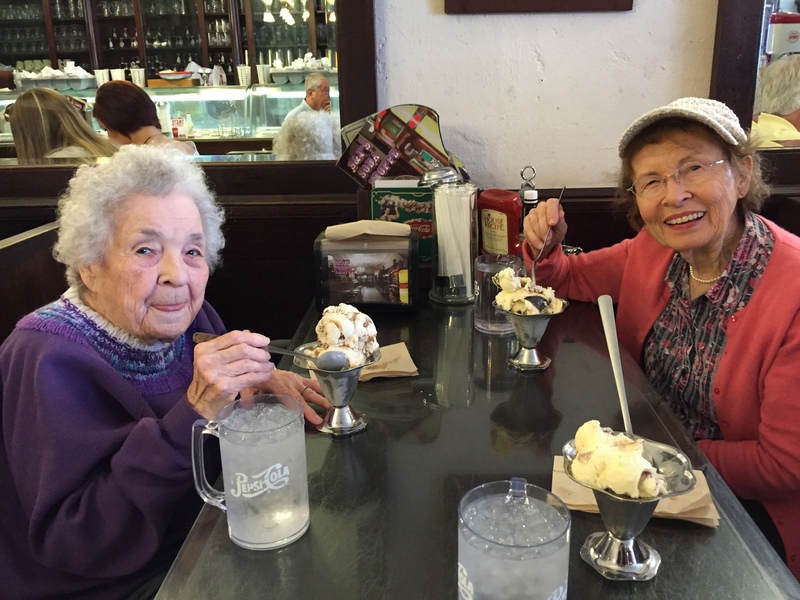 This entry was posted in Obituary, Remembering Sarah, slide show on September 14, 2015 by stainbacksarah93. 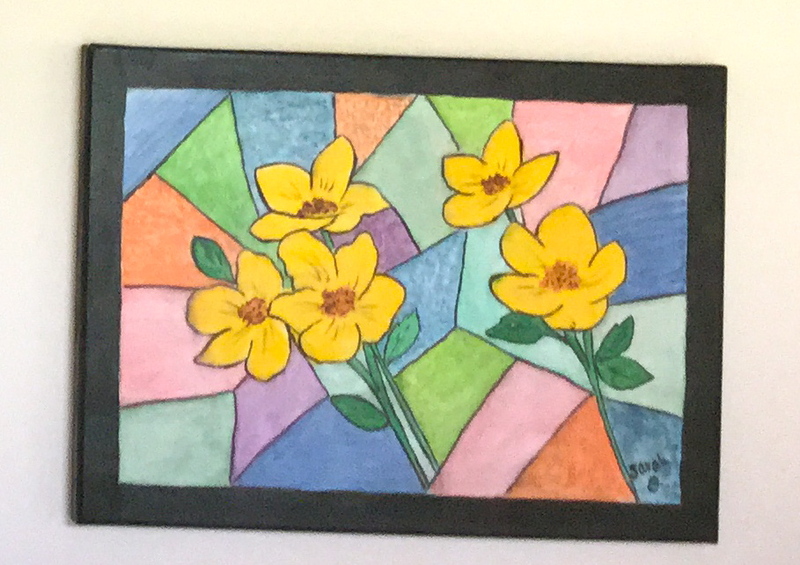 The walls on the entry hall at the Senior Center looked so bare after the Silver Arts exhibits were removed, so our mixed media group that meets on Mondays was asked to put up an exhibit of our art work. Here are a few of mine. 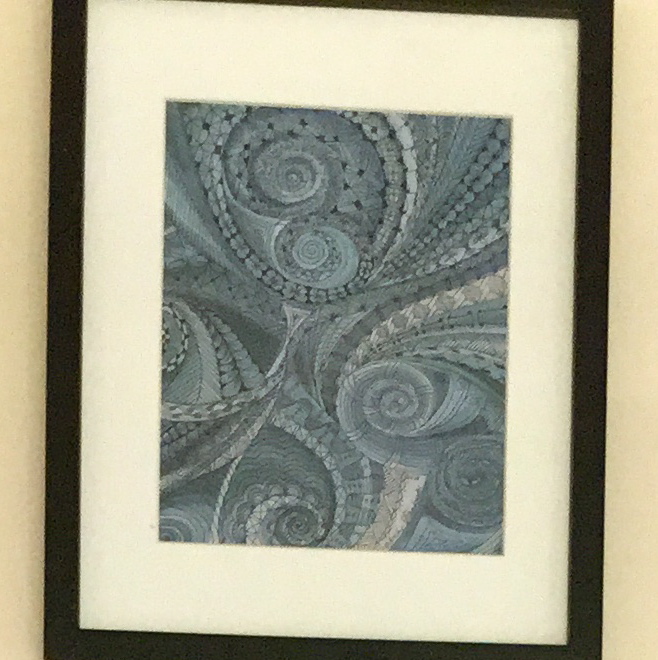 The color does not show very well in the first one, but it is a print of an abstract painting in various shades of blue, and then I did Zentangles® on top of it. Looks much better than the picture. The two stained glass images are done on canvas with acrylic paints (not framed). 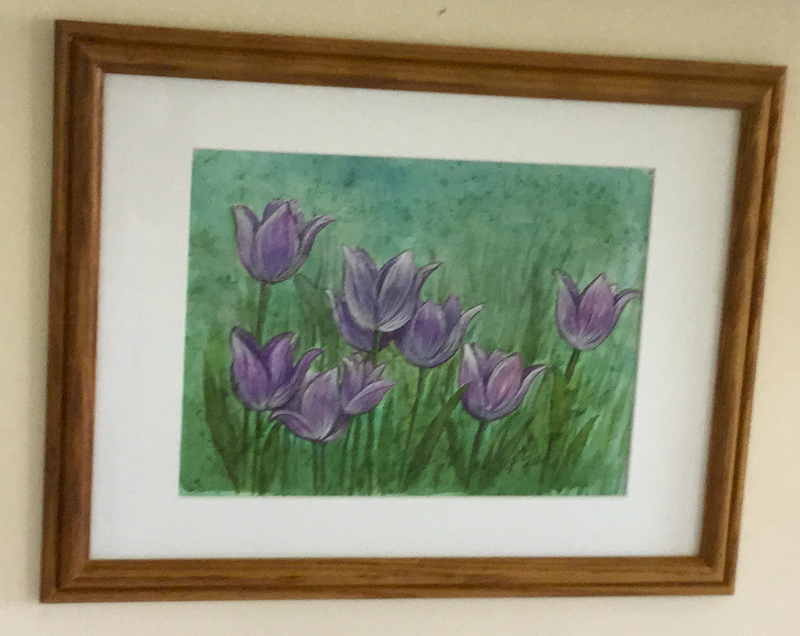 The last one is a watercolor on paper that is framed. We have 25 paintings hanging, but I was unable to get good pictures due to the reflections on the glass from the windows. If I can get some better pictures next week, I will show you some of the others. Here is one done by Hazel LeBlanc (better know as “Z”). 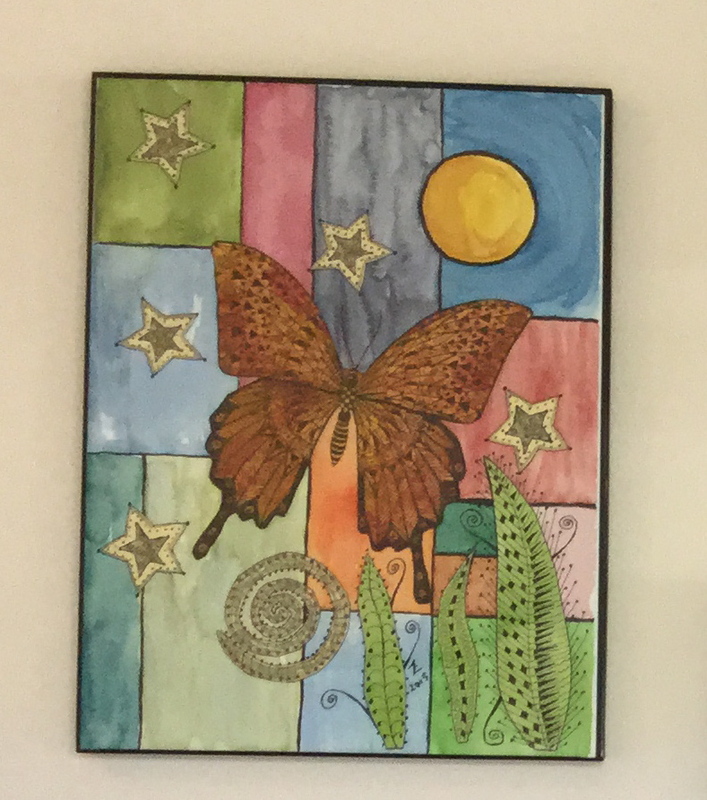 She used the butterfly template from Ben Kwok, zentangled it and glued to painted canvas on which she also did some Zentangle designs. Very pretty, I think! We have a small, but very talented, group that meets weekly to exchange ideas and show what we have done that week. FUN!! 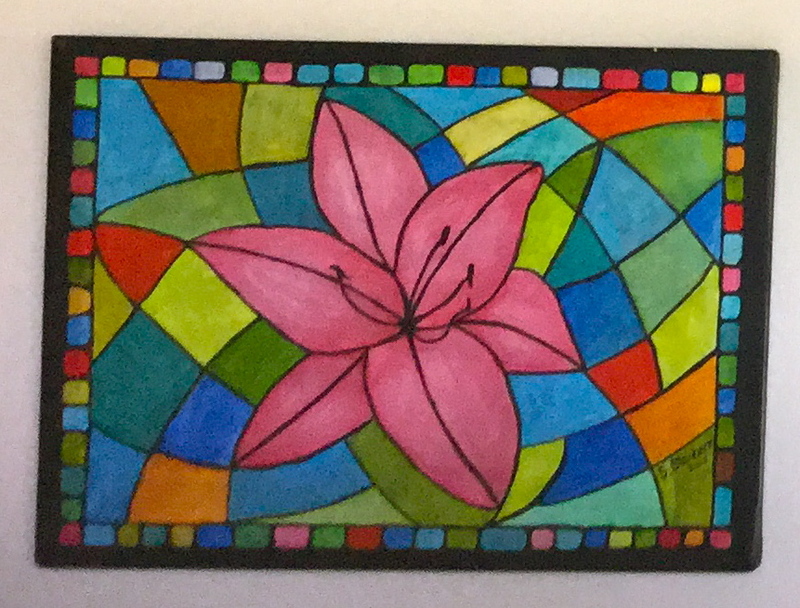 This entry was posted in acrylics, Ben Kwok, mixed media group, Stained glass, watercolors, Zentangle and tagged acrylic, Mixed media, painting, painting on glass, watercolors, Zentangle on June 16, 2015 by stainbacksarah93. Seems like forever since I last posted. No excuse. Just putting things off! Nothing much has happened since I last posted. The weather has been so nice that I have spent a lot of time sitting on my back screened porch just enjoying it. Being lazy gets boring after a while, so decided I had to get off my rump and do something. I have tackled a big job –cleaning and organizing my craft room. Lesson learned – BE SURE TO PUT EVERYTHING BACK IN ITS PROPER PLACE AFTER USING !!!!! The Senior Games is over at the Senior Center. Did not enter any of my paintings or drawings in the Silver Arts Competition, but did enter my quilt that I finished last summer. 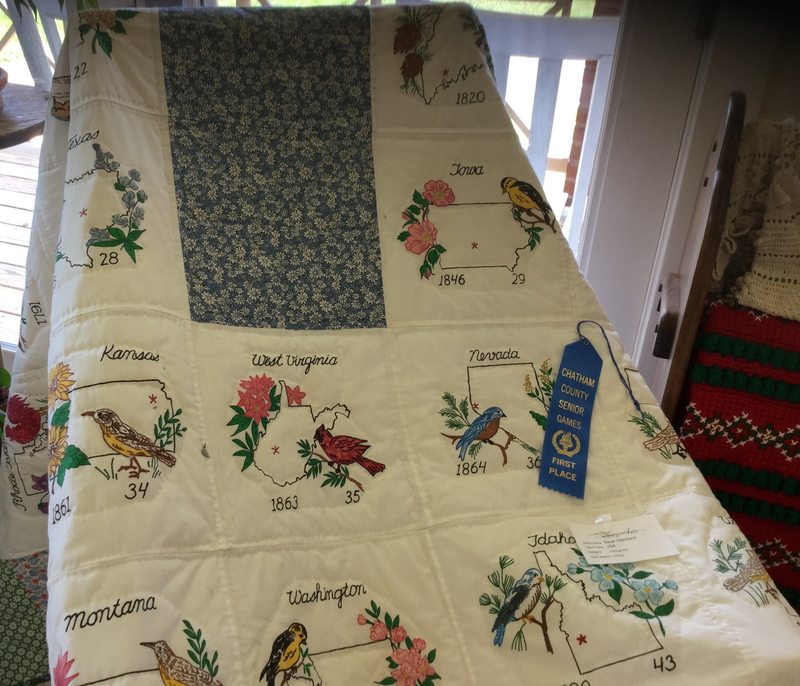 Got a blue ribbon – see picture attached: Not very good picture, but you saw the finished quilt some time ago. The only art work I have done this month is a stained glass canvas, painted with acrylic inks and paints. This is size 11 x 14 canvas. I like this style, so think I will do more. Hope to be back before too long. Thanks for taking a look. 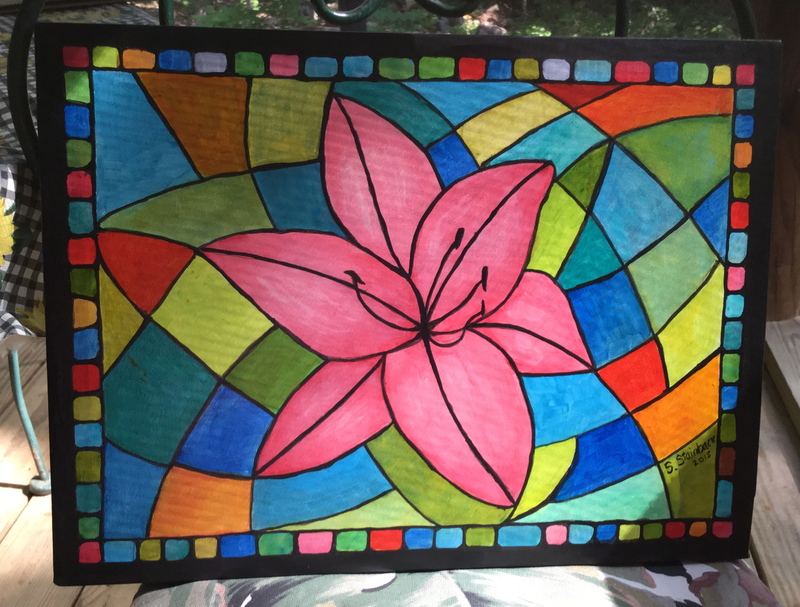 This entry was posted in acrylics, Quilts, Stained glass and tagged acrylic, quilting on May 31, 2015 by stainbacksarah93. It’s been quite a while since I showed you any of my drawings made from Ben Kwok’s templates, which he is so kind to publish weekly. The last few weeks have not been animals, and I have tried my hand at a few of them. 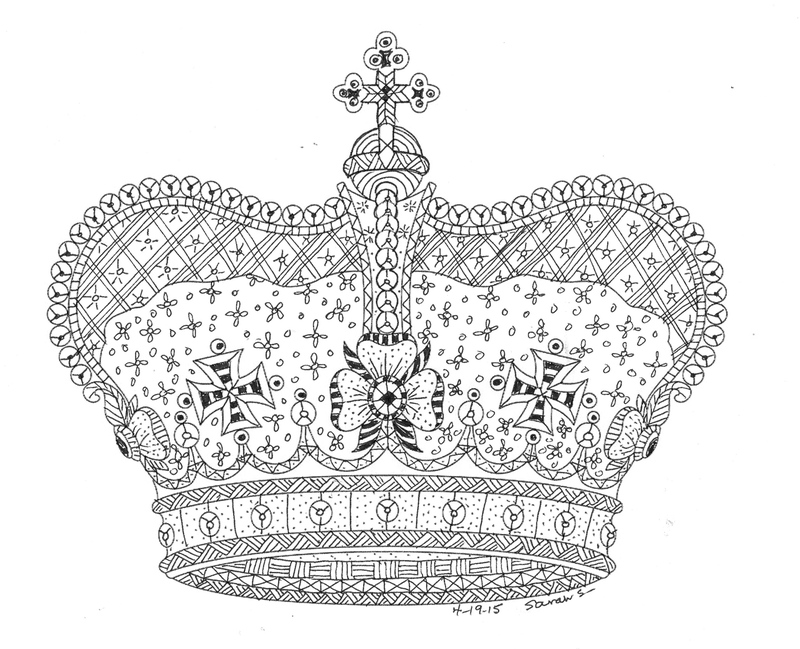 Two of the recent ones have been an automobile and a crown. 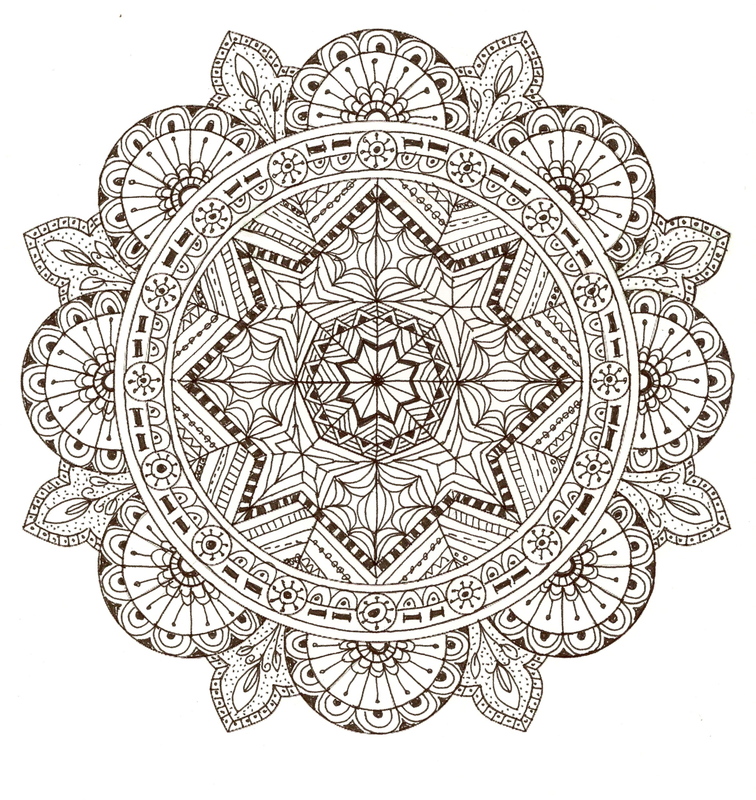 Here is my black and white version, and I may do a colored one later: I really love doing mandalas, and have done this one in black and white. I have scanned it, and plan to do a colored version soon. Hope you like this. I certainly enjoyed doing them. See you again soon. 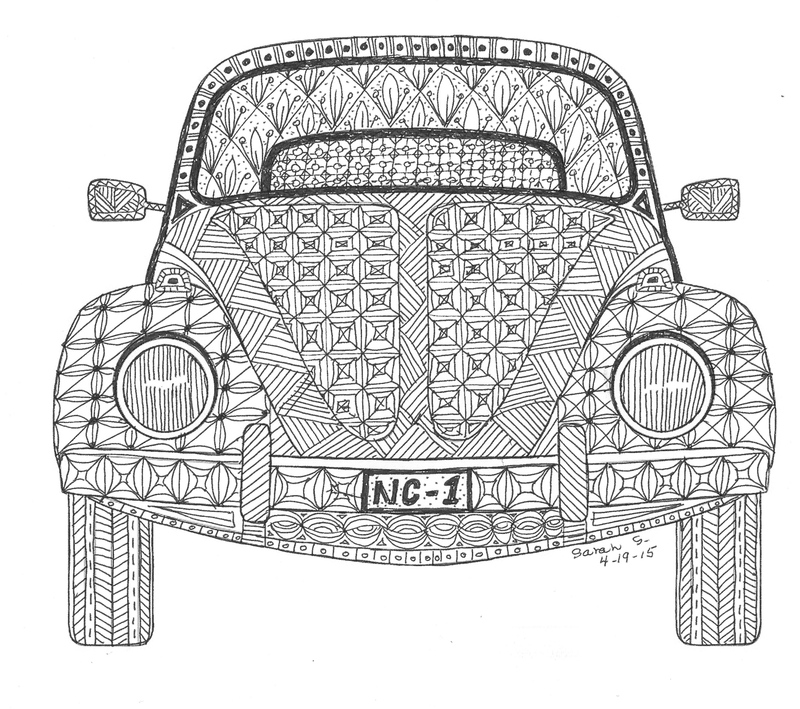 This entry was posted in Ben Kwok, Zendalas and tagged Drawing, pen&ink, ZIAs on May 1, 2015 by stainbacksarah93. Even though my birthday was the end of March, it seems that the celebrating has continued into this month. My brother David and his wife Ellen couldn’t be with us for the family celebration Easter weekend, but they did pay a visit last week, following a speaking engagement in Washington, DC, I took them to see the Silver Arts Exhibit at the Senior Center in Pittsboro, and of course, we had to visit the S & T Soda Shoppe to sample their famous ice cream. This is a single serving of it. The shoppe is an old soda shoppe that made us think of our childhood days with the comfortable booths and small round tables and stools at the bar. A great experience. You will notice that this town still has angled parking and the business town is only about two blocks each way from the courthouse which is the middle of town. Great time was had by all. 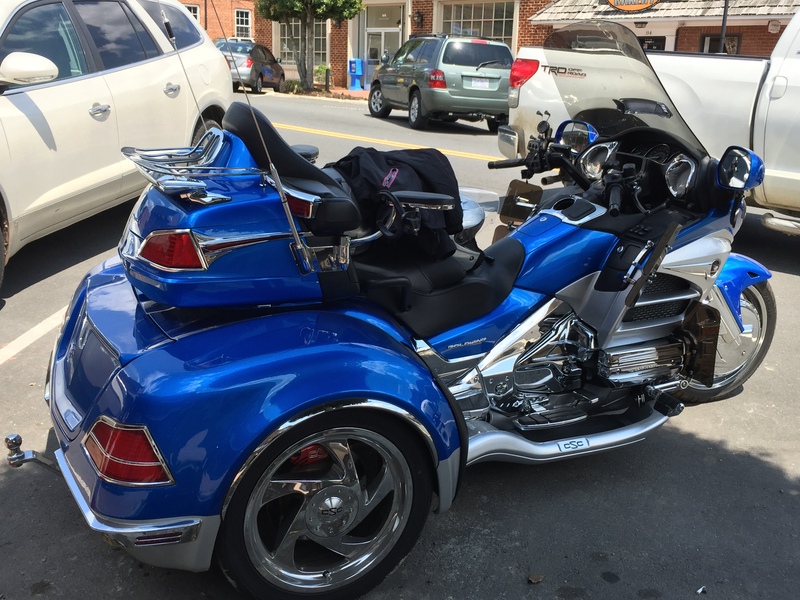 This entry was posted in Birthday celebration and tagged birthday, ice cream, motorcycles on April 27, 2015 by stainbacksarah93. 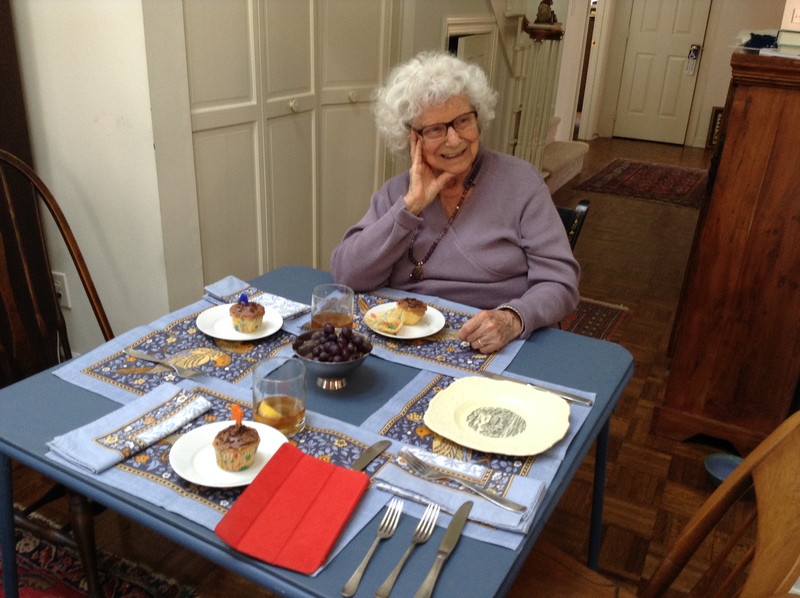 Last Monday, March 30th, was my 95th birthday! When I was born in 1920, it was unheard of for someone to reach that age and be in fairly good health. How thankful I am to the miracles of modern science and medical technology that allow many people to reach that age and beyond. 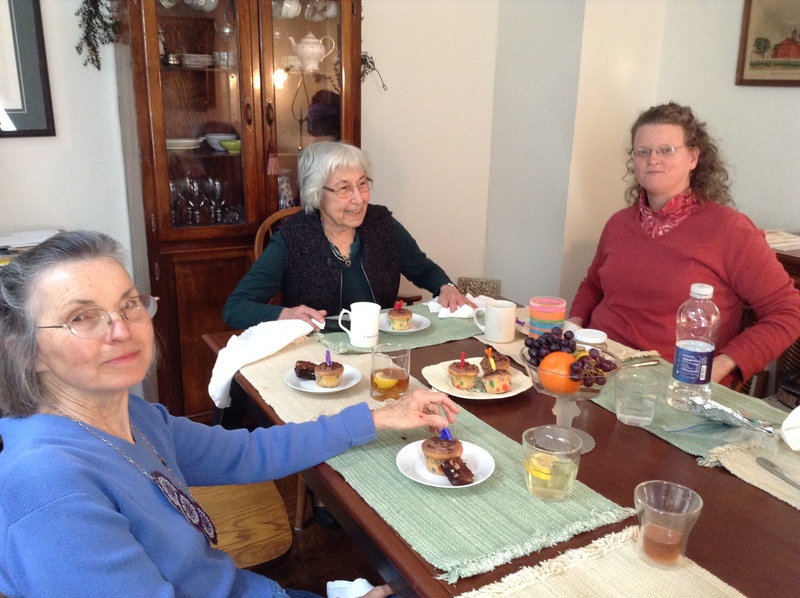 My mixed media group that meet weekly at the Senior Center gave a luncheon in my honor at the home of Mary Ellen Houck. 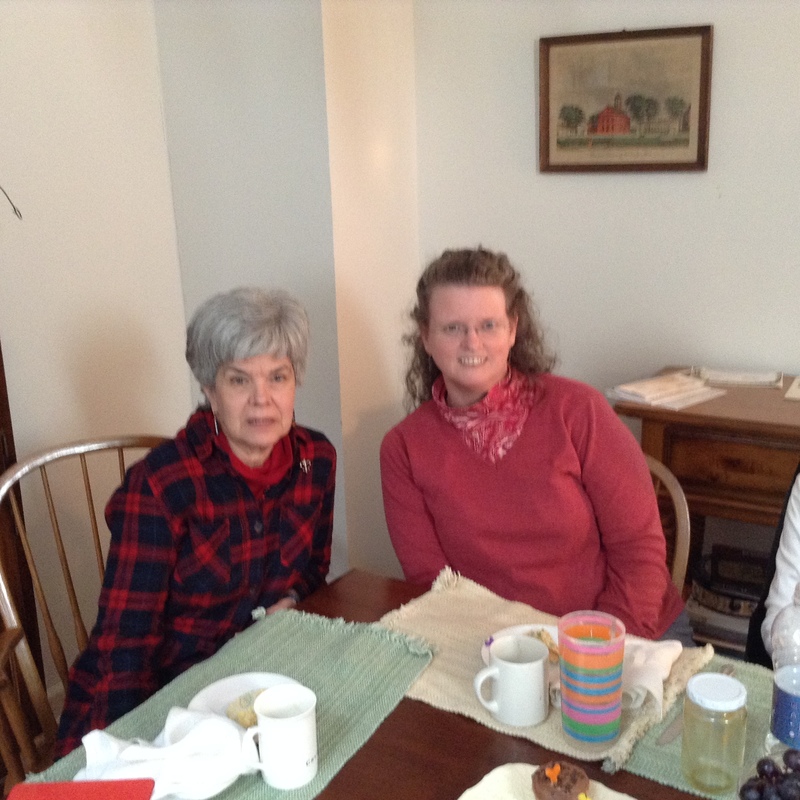 (Thank you, Mary Ellen, for coordinating this get-together!) 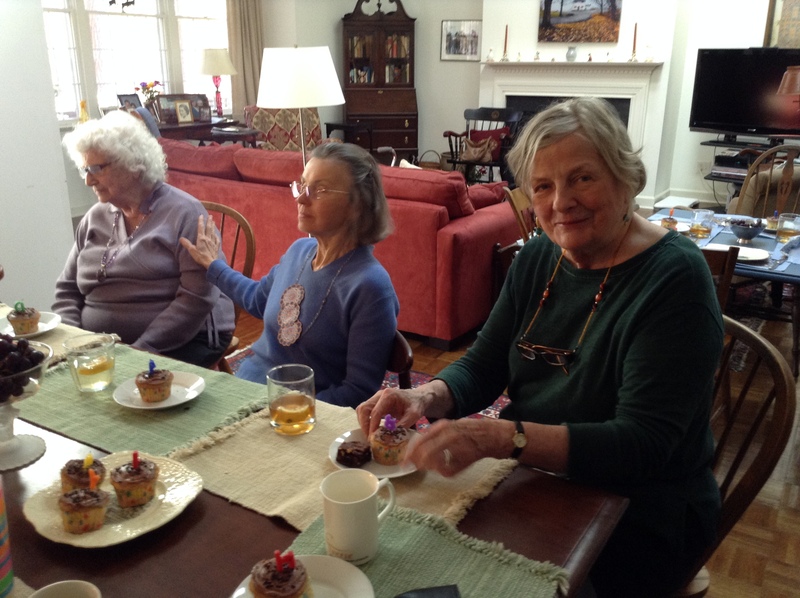 Ten of us gathered there with a pot-luck lunch and fellowship. Here are some pictures of the happy occasion ——— Thanks for stopping by today —-and a BLESSED EASTER to all. 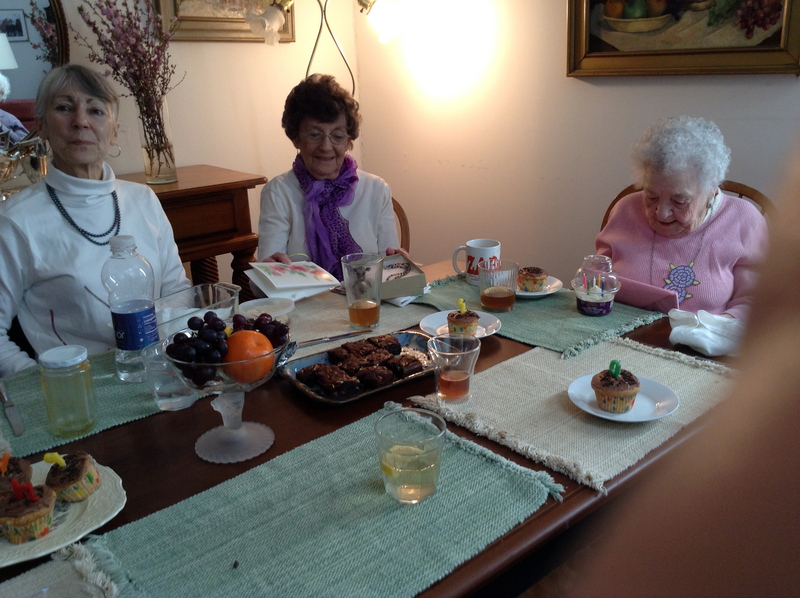 This entry was posted in 95th birthday, mixed media group and tagged birthday, lunch on April 4, 2015 by stainbacksarah93. While going through a drawer in my work table the other day, I found a file folder full of some card makings that I designed in the 1980s or early 1990s. These were done when “country decor” was the hottest trend. 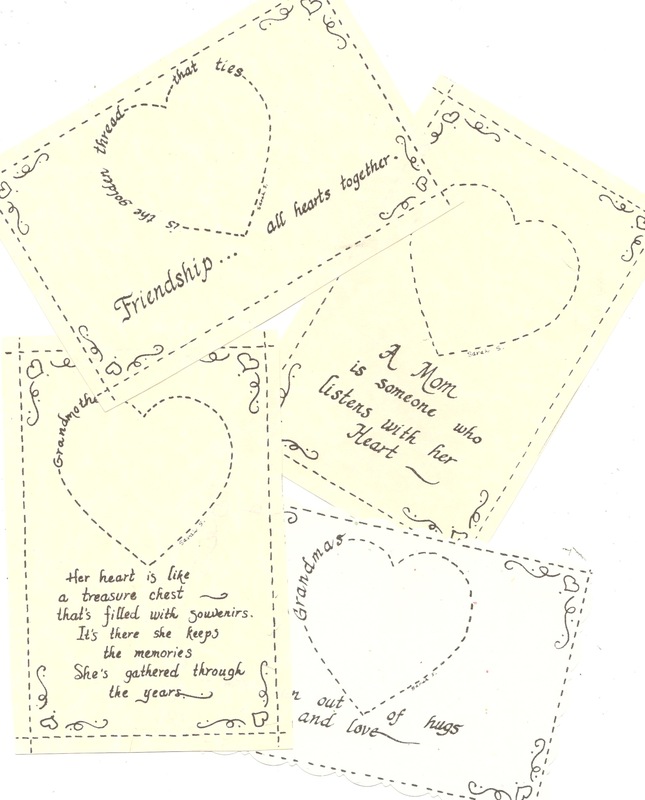 These card fronts I had made were definitely “country” and a quilted fabric heart was attached to the outlined heart on each one. 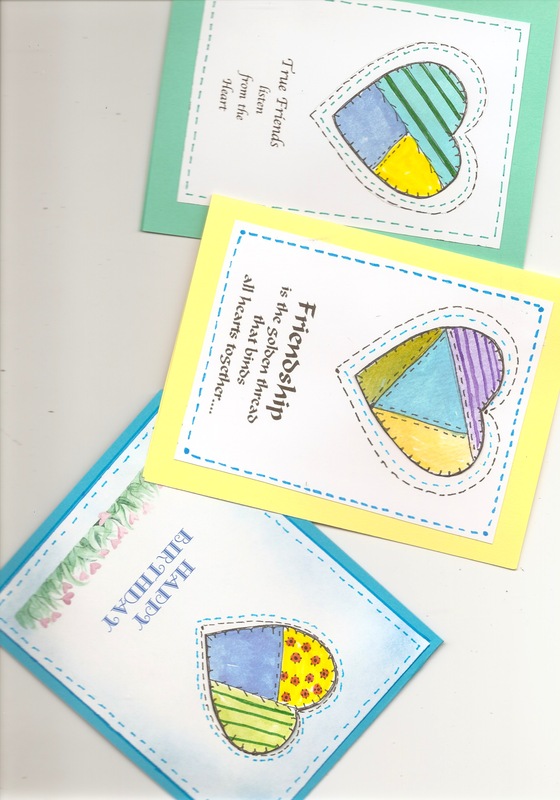 I don’t believe in throwing things away, so I began to redesign some of them to use on card fronts today. The lettering on these were all calligraphy done by me. On some I have left the calligraphy, and on others, I have typed in the sentiments. 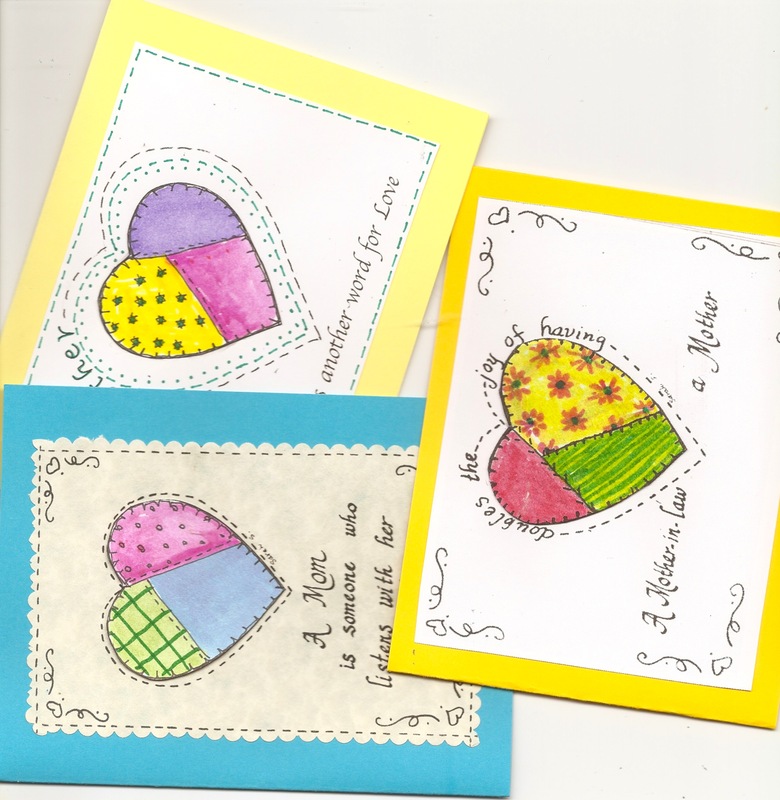 The colored hearts are drawn on watercolor paper and then colored to make them look like a quilted heart. I will use some of the original drawings along with the revamped ones. I think these will still look good today. Thanks for stopping by. 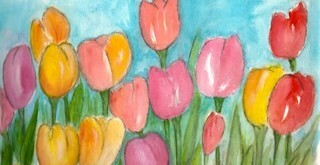 This entry was posted in Cards and tagged greeting cards, pen&ink, Watercolor painting on March 24, 2015 by stainbacksarah93.